The perfect pie is the one that gets made. First Apricot pie of the season. There had been talk of an apricot pie. My brothers and I put in our not-so-subtle requests fueled by the memory of mom’s tender crust and the interior that puddles onto the plate and turns blush-toned yet soft spoken apricots into a perfectly tart and nutmeg-laced pie. It seemed that as soon as I took the last bite of my sandwich – one made of mom’s homemade rolls via my great-aunt’s recipe and a salmon and crab salad made with salmon caught a couple weeks ago by my dad in Alaska and crab caught that morning by us – she was already making quick work of her dough. “I’ll make a pie if someone else cleans the kitchen.” Mom bargained while I lingered at the table cleaning my plate of the pink-fleshed and basil laced salmon salad that escaped my sandwich. My brothers and sisters-in-law made quick work of the kitchen knowing that it was a small price to pay for our mom’s apricot pie. She pulled out the recipe card written in bright pink ink and with water marks splashed over the “cups”, “juice” and “flour”. My mom has used the same recipe card for as long as I can remember which was copied from my grandmother’s recipe card which she used for years before that. From the first apricot pitted to the pie in the oven it was no more than 20 minutes. My mother is a master pie maker. While we waited the kids rode Nova, the deep leather colored horse that lingers next to the two cows in the fields and a few of us remained inside sipping our Gin & Tonics anticipating the pie as the scent grew to fill the house. My mom apologized for cutting into the runny pie too soon while scooping it onto our plates. Steam still rose through “A” she cut on the top of the crust. The apricots shimmied to the corners of the plates revealing their vibrant orange color and melting the ice cream above them. We all risked burned tongues unable to wait any longer to taste something so familiar and yet scarce as apricots come and go so quickly – often before we have the chance to all be together and beg mom to make us yet another pie. Second apricot pie of the season. “Can you take of picture of the apricot pie recipe and send it to me?” I texted my mom with the taste of her pie still lingering. She sent me the recipe. “I add more of everything.” She added. Friends were coming to stay the weekend and I had made it my mission to fill the house and their stomachs with great food. I wanted them to walk away from their stay full and well loved. Pulling up my favorite crust recipe – one that greatly differs from both my mom’s and grandma’s I made quick work of pie and wondered why I had waited so long to make my first summer pie. While our crusts are very different I worked diligently to follow the filling recipe as closely as I could muster. It is so hard for me to follow a recipe but this one needs no adjustments. Although, I’m not sorry for the specks of vanilla seeds that I decided to throw in at the last minute. After dinner I brought out the pie to a chorus of “ohhhhh” and “piiiiiieeeeeee”. While the kids filled dozens of water balloons and slowly trickled in to where we were when the news of pie spread, we cleaned our plates quickly and with little talking. What remained of that pie was brought out for breakfast the next morning. Third apricot pie of the season. Their creased sides lined up one by one in a slanted wooden crate at the farmer’s market. Blushed cheeks and bruiseless flesh was all the convincing I needed to make another pie. In a not ideal pie making scene – 80 degree kitchen in the middle of a busy working day – I pulled myself from the computer to make pie. Because if I don’t have time to make countless pies in the summertime when the produce begs to be covered in a flaky crust, then I’m too damn busy. Two days ago the crust was perfect and rolled out with no problems. This third pie threatened to break the joy that brimmed from the mere thought of what was to come. Too wet and sticky, the dough ripped, pulled and stuck to every surface it touched. I pushed forward and made a patchwork of the bottom and top crusts. Even the filling seemed doomed when some of the apricots I bought from the market the day before had already burst from their thin skin and began to bruise and mold. Two nectarines took the place of some of the apricots and I remained steadfast to this third pie. I dusted the top with sugar and stuck it in the oven telling myself that its ugly exterior was fine because really the perfect pie is the one that gets made. No one could guess the pathwork once the pie came out of the oven. It looked beautiful and smelled even better. And with this pie I found one of my favorite ways to eat it – straight from the pan, slightly warm, after a picnic dinner with steak sandwiches, horseradish butter, pesto laden green beans with capers and a onion-spiked salad of tomatoes and peaches. But it is in the morning, when the house is quiet and the coffee is warm, that pie is best served. I make the fill while the dough chills. Combine everything, except the butter, in a bowl and mix well to combine. In the large bowl add the dry ingredients and whisk until light and no clumps remain. Add the cold butter to the dry ingredients then use your hands to break up the butter. With your fingers smear the little butter cubes with the flour so that flat pieces of pea size butter remain. In the mixing some butter will get incorporated into the flour making it look a bit like cornmeal. You want a mix of this and large pieces of butter in the flour. Add the oil, cream and 1 tablespoon cold water. Again, use your hands to mix the ingredients. Evenly distribute the parts that have more liquid until the whole mix feels evenly damp. Squeeze a bit of the dough in your hands. If it comes together and holds its shape it is ready. If it still crumbles once squeezed add a bit more water until the dough just holds. Divide the dough in two round discs about 1/2″ thick with one having a bit more dough than the other – this will be the top crust. Wrap in plastic wrap then refrigerate for one hour so that the butter can get good and chilled and the liquid will absorb into the flour. Roll out the smaller of the two doughs first on a evenly floured surface. I like to roll out my dough on a silpat so my counters stay bit cleaner and I find that I have to use less flour. The dough should be about 1/8″ thick. 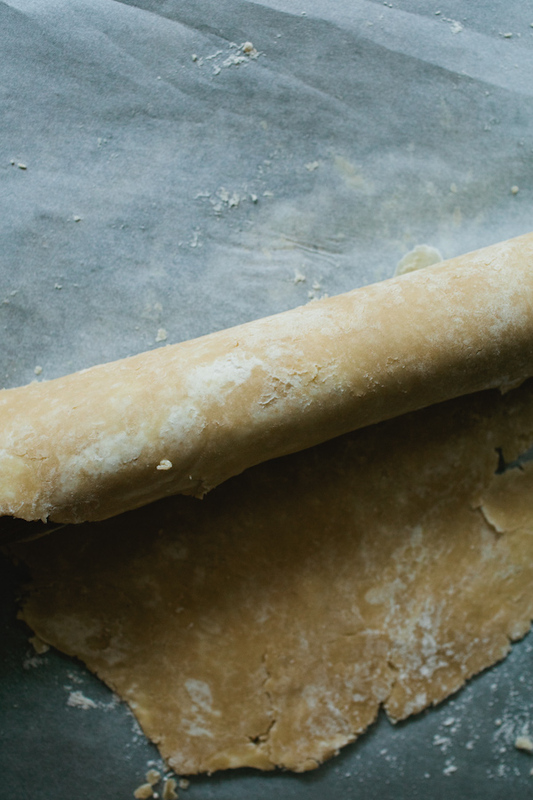 Gently roll this dough around your rolling pin then unroll over the pie pan. Fill the pie with your prepared fruit (recipe above) and dot with 1 tablespoon butter. Then repeat with the next disc of dough. Roll out the top crust to 1/4” thick then roll it up on the pin and place on the pie. Tuck in the edges to create a thick crust. Place the pie on a sheet tray to catch any juices that fall from the pie. Sprinkle the top of the crust with sugar and cut small slits in the dough to allow steam to escape, then bake in a 400 degree oven for 1 – 1 hour and 15 minutes. It’s possible that my pie takes longer than yours as I am notorious for opening the oven frequently at the end to sneak a glimpse of the golden crust and the bubbles the slowly rise and pop on the crusts surface. It’s best to look for the signs that the pie is done rather than trust the time. You’ll know the pie is done when the edges are deep golden and the juices bubble in a graceful and methodical way. The juices should look a bit syrupy. Let the pie cool for several hours before serving and ALWAYS save a slice for breakfast. * Don’t be afraid to use flour when rolling out the dough. Dust the surface with flour in a swift motion with your hand at an angle coming from the side to get an even layer of flour. You don’t want large clumps of flour worked into the dough. * Work quickly and with cold ingredients. Large flecks of cold butter mean flakes are in your future. * Use a bench scraper to gently lift up the dough. * Keep the dough moving. Give the dough a few rolls with the pin then give it a gentle wiggle to make sure it’s not stuck. If it feels tacky add a bit more flour. If the butter is getting too soft just put it back in the fridge for 10 minutes. * Bottom crusts are notorious for being a bit soggy. I do my best to offset this by rolling out the bottom crust quite thin. The top crust then has more of a chance to shine in all its thick, sugar crusted glory. * Glass pie pans are my favorite. * If you see Gravensteins (the best apple for pie) at the store buy them and make a pie. Even if the sight of them causes you to wince at the ending of summer. Do it. 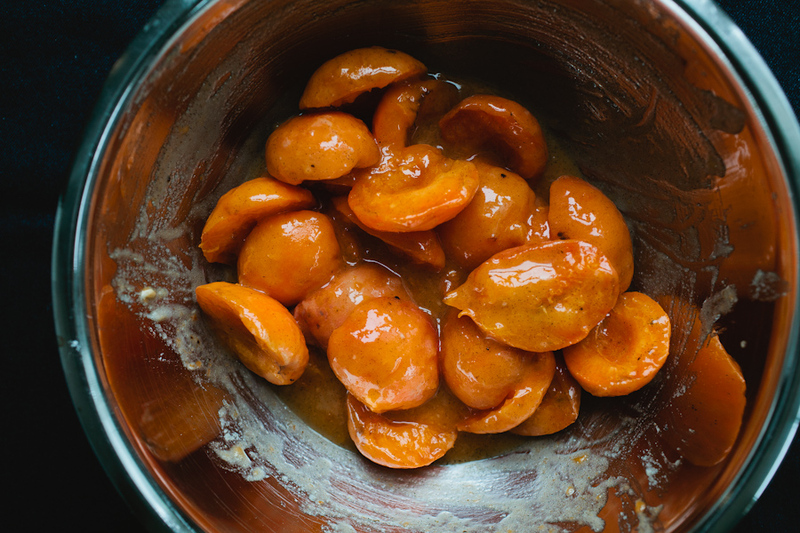 Throw a couple apricots in the mix if it makes you feel better. What a treat, as always. I was taking a quick Facebook break from the recipe planning I’m doing for an article and saw your update about the post. It was just the break I needed. I’m excited to try your pie dough. It sounds perfect with the sweet-tart apricots. I can’t say I have ever tried apricot pie. Sounds interesting. Oh, yes. I love everything about this post, particularly your reminder that, “if I don’t have time to make countless pies in the summertime when the produce begs to be covered in a flaky crust, then I’m too damn busy.” I must heed this advice and make a summer fruit pie this weekend–no excuses! Thank you for sharing this beloved recipe, and the stories behind it. I’ve been doing all-butter crusts but I’m open to trying something new and your description of it is so tempting – must try! I’ve been eagerly awaiting a post from you. Pie could not have been more perfect. I love the idea of “the one that gets made.” Especially as people who make food for a living, sometimes it’s so refreshing to just make something without worrying so much about how it looks. Long time reader and first time commenter – just a beautiful post, and how have I not baked more pies this summer?? Just lovely. Yesssss! We do a fruit CSA with Collins and I’m always thrilled with every new recipe for the fruit. There might be a week or two left with apricots, but either way, I’ll be making this with some of our stone fruit abundance. THIS WEEK. Thanks! One of the things I miss most about Colorado (now that we live in Ireland) is the stone fruits. The apricot pie looks so luscious and comforting. Beautiful post. This is stunning, as always. Such a fabulous summer recipe. Beautiful post and recipe and pictures. 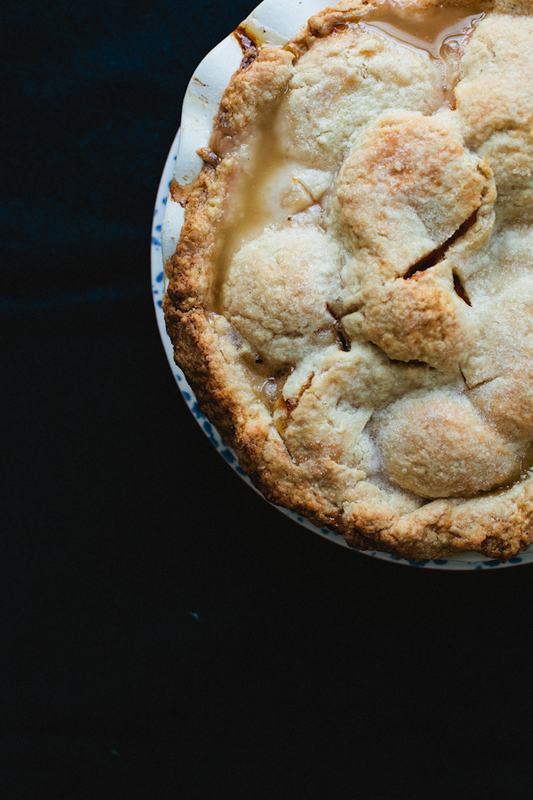 I love the subtlety of the iPhone showing the old recipe card next to the pie in one photo. Thank you for reminding us to make the most of the present. Yes, I now have permission to eat pie for breakfast. I would sneak it in the past, now I will eat it proudly! The old recipe on iphone looks great, so different. So beautiful! And how did you find those huge apricots the ones I find are so teensy! 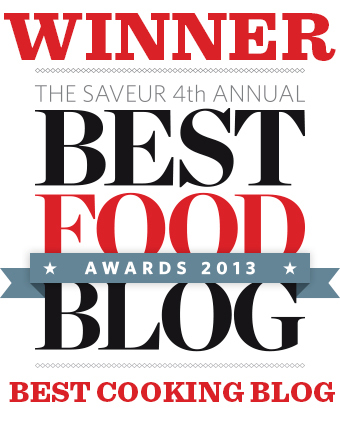 I was doing my weekly food blog catch-up yesterday when I saw your lovely story. Something resonated, clearly, because rather than doing my usual picking around for ideas on a Saturday afternoon, I carried my laptop straight into the kitchen and made your pie. Granted, what I had on hand were an apple, a couple-3 peaches, and some blueberries, but it was the one that got made. And it is delightful! i am fascinated by oil in a pie crust! must give this a go. i have a peach pie in my sights for this week, but a crust already in the deep freeze (oh, what wealth!). but my next pie, most likely apple, may tap into your grandmother’s recipe box. thanks in advance, ashley! This apricot pie looks wonderful. Beautiful photos! Thanks for the recipes. 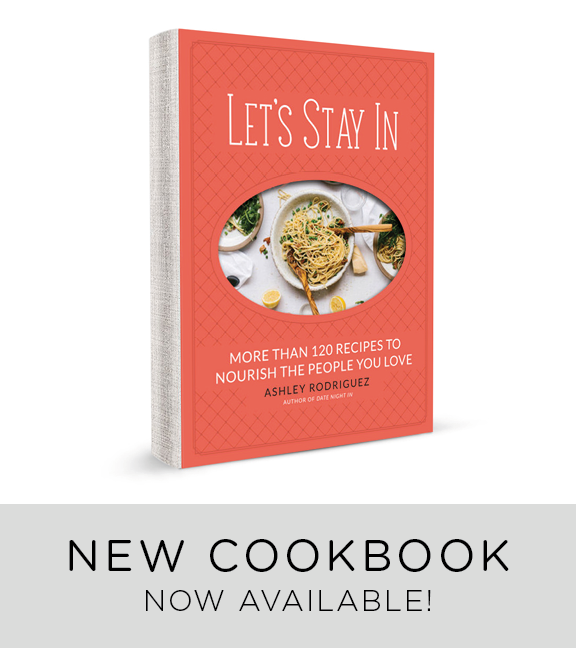 A beautiful piece of food writing and a beautiful recipe! 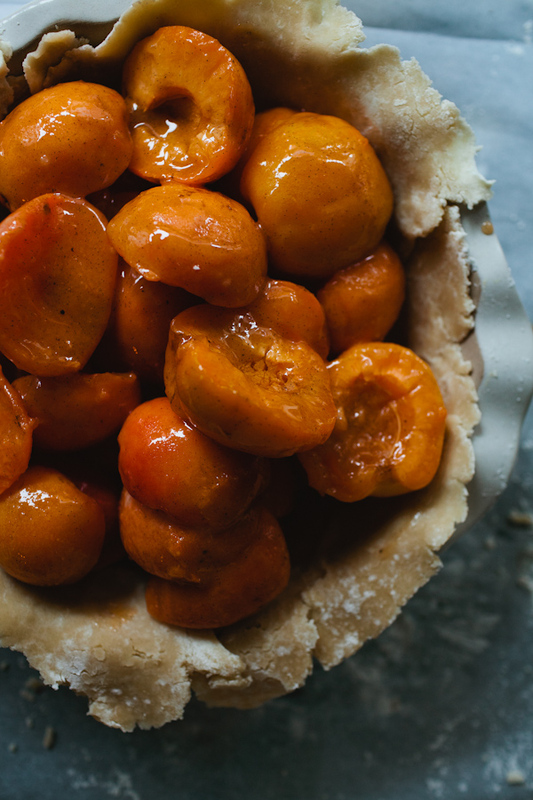 I can’t even believe I’ve never had apricots in context of pie… after reading this post, it seems like the only place an apricot belongs. Your photos are absolutely beautiful yet so effortless. There is something warm and cozy about your food blog that I can’t seem to find in other food blogs. I can see why you won the award. Amazing blog keep it up! Ashley, magnificent! 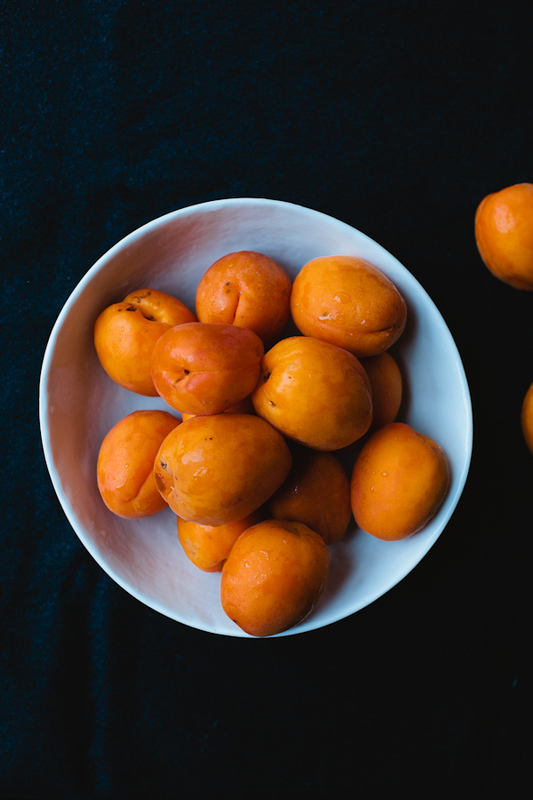 I love apricots so much! It justifies a walk o the farmer’s market every second day:-) My family can hardly wait for a cake to get ready, so we eat them all up, fresh from the market. The pie looks absolutely delicious! I made apple pie last night but now I want to make an apricot pie! I love how you wrote this post and the story of the summer of the apricot pie. 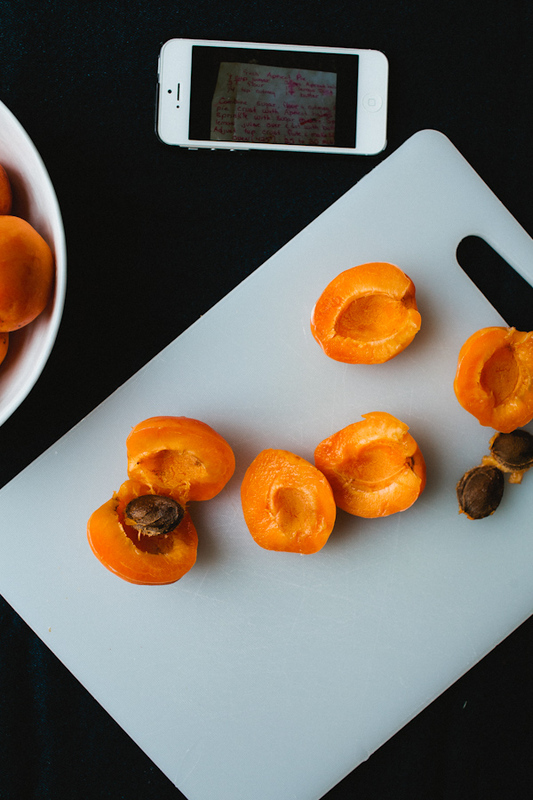 It sounds like heaven – apricots are wonderful! It looks good and i imagine a bit more tart than peach pie. Both of these recipes call for a certain weight of fruit that has been pitted and sliced. Is the weight measured before or after the pits are removed? The fruit is measured after the pits are removed. 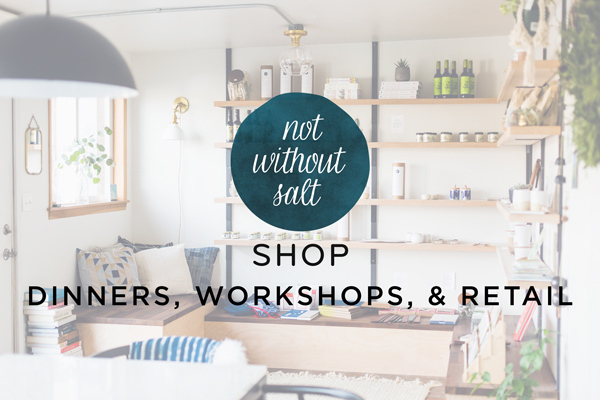 Hi Ashley–I read this post years ago but always remembered the title and that I wanted to try it. I finally did and it turned out great–it was my first attempt at pie crust from scratch and I appreciated the simplicity of the approach. 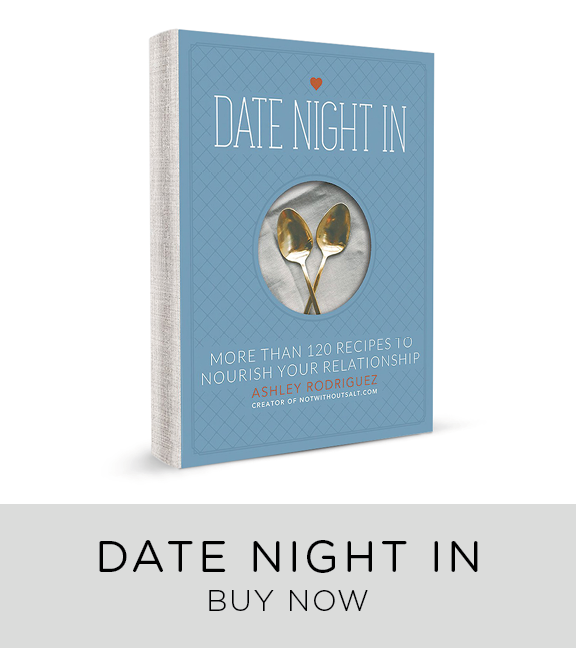 I trust your recipes ever since I made your amazing chocolate chip cookies–I became a believer. Next time, I need more fruit, but that was my only downfall. Thanks again.